Sweet, honey, dried fruits, cake, furniture polish, leather, chocolate and coffee notes on nose. Chocolate, dried fruits, spices, cream, apples notes on palate. Spices, dried fruits, chocolate, oak cask, pepper, dust, coal notes on long finish. Ample and complex on the nose, it has a significant notes of prunes. Decided before sweet on the palate, with a background of smoke and fruit, malt and oak. The final average long has refined notes of oak, banana, vanilla flavor. The closure is a dry unpredictably. 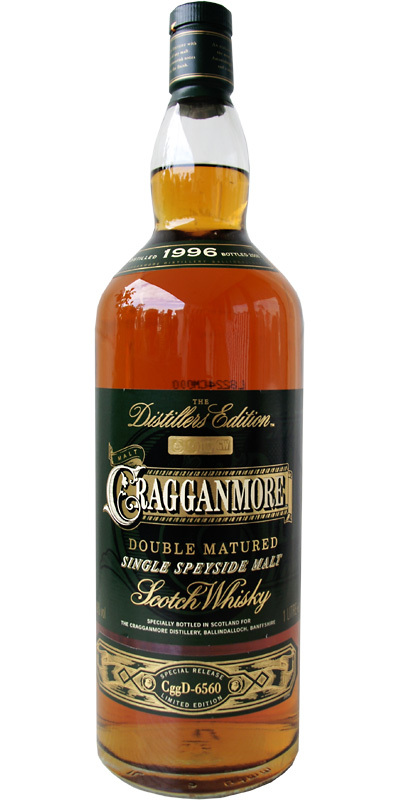 A double-matured Cragganmore who has had a finish in keeping port pipes for extra complexity and depth to create.